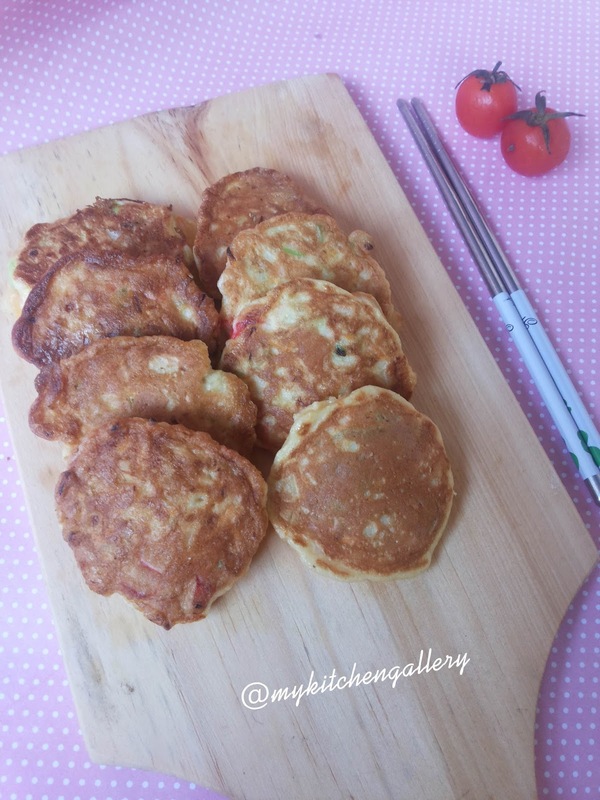 Another korean pancake / jeon. 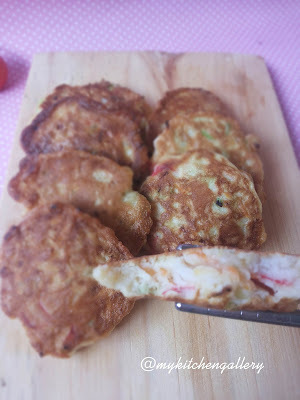 this one is crab stick jeon. The combination of crab stick and other vegie is very good. 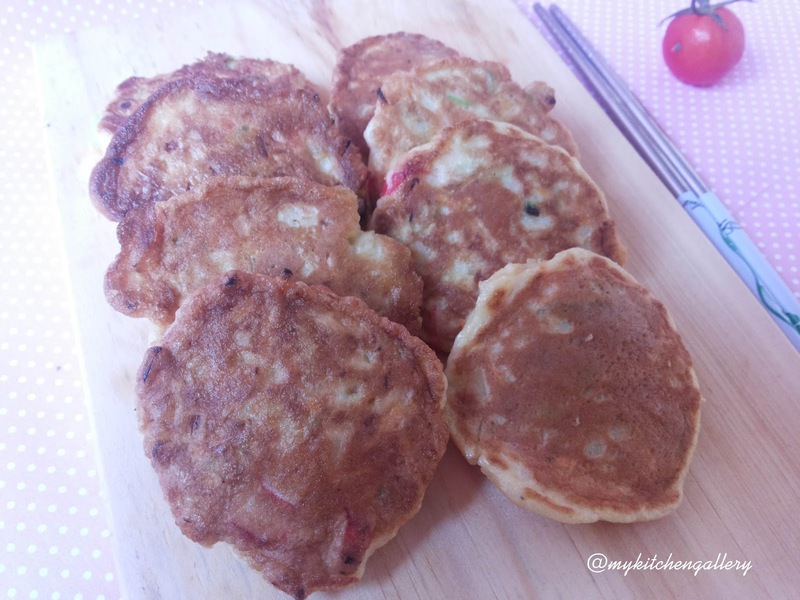 In a oiled pan, put a spoonful of batter and make the shape round. Plenty of oil gives better flavor. Fry them on medium with patience. When the bottom of the jeon becomes golden brown, flip it over. When the other side of jeon becomes golden brown, it is done.